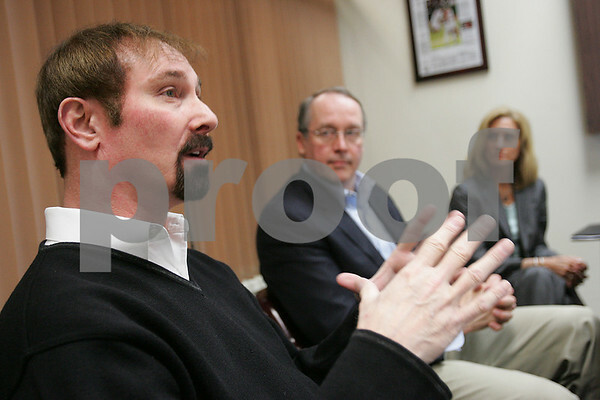 Beverly: Barry Ivan, Artistic Director and Executive Produce at the North Shore Music Theatre in Beverly, speaks to Salem News editors and reporters at a meeting held at the newspaper's office in Beverly on Wednesday afternoon. At right, David Fellows and Nicole Gakidis Cargill listen as Ivan discusses the Theatre's new business plan. Photo by Matthew Viglianti/Staff Photographer Wednesday, April 15, 2009.